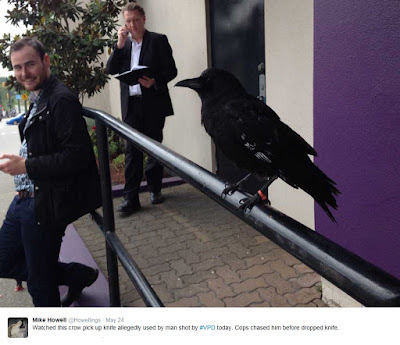 A notorious crow flew away with a knife from a crime scene. Canuck the crow has quite a reputation in Vancouver, British Columbia, Canada. Earlier on Tuesday, police had shot a man. They were called to the scene of a car engulfed in flames. When they arrived, police said, they were confronted by a man with a knife. Shots were fired and the man was arrested. 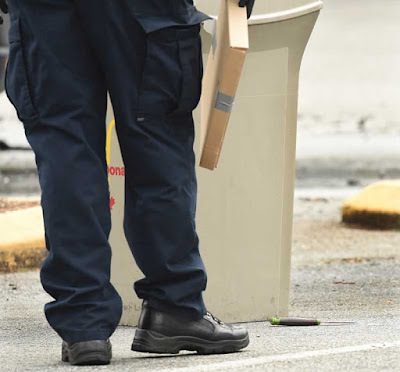 Vancouver Courier reporter Mike Howell said he saw the bird, which had a red tag on its leg as does Canuck, swoop in and pick up an object from inside an area cordoned off by police tape. "A cop chased it for about 15 to 20 feet, and then the crow dropped it and took off," Howell said. "It was really strange. "In my 20-plus years reporting from crime scenes, I've never seen anything like that crow trying to take a knife." Vancouver police confirmed a bird did indeed take off with crime scene evidence. "The crow was persistent, but the knife was eventually gathered as evidence," Const. Brian Montague said. The bird was also spotted sitting on the roof of the burned car and trying to get into a camera operator's gear. Wayne Goodey, a zoology lecturer at the University of British Columbia, said crows are sometimes attracted to shiny things. "They might associate a shiny foil with edibles or food wrapping from a restaurant," he said. "And they have no way of knowing it's not food until they put it in their beaks." 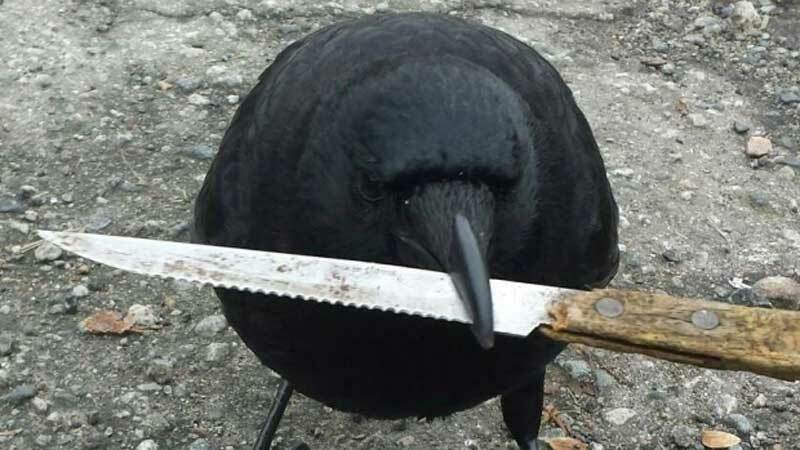 He also said the knife's green handle might have appeared like food to the crow and piqued its interest. "It was a crime of opportunity."